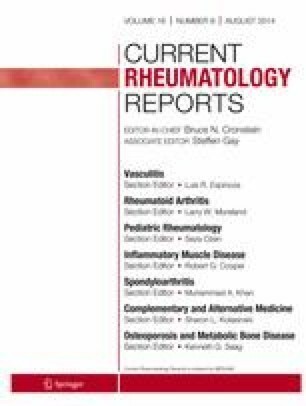 Patients with rheumatoid arthritis (RA) suffer an increased burden of infectious disease-related morbidity and mortality and have twice the risk of acquiring a severe infection compared to the general population. This increased risk is not only a result of the autoimmune disease but is also attributed to the immunosuppressive therapies that are commonly used in this patient population. Given the increase in infection-related risks in RA, there is great interest in mitigating such risk. A number of vaccines are available to the rheumatologist, with a handful that are of importance for RA patients in the United States. The goal of this paper is to highlight the most recent literature on the key vaccines and the specific considerations for the rheumatologist and their RA patients, with a particular focus on influenza, pneumococcal, and herpes zoster vaccines. It is important for rheumatologist to understand and be aware of which vaccines are live and what potential contraindications exist for giving vaccines to RA patients. Lisa Perry declares that she has no conflict of interest. Kevin Winthrop declares that he received a grant from Pfizer, consulting for Abbvie, Pfizer, UCB, Genentech. Jeffrey Curtis declares that he received consulting fees and research grants from Amgen, Abbott, BMS, Pfizer, Eli Lilly, Janssen, UCB, Roche/Genentech and CORRONA, and that he receives support from the NIH (AR064172). The authors jointly declare that this work was supported by the Agency for Healthcare Research and Quality (AHRQ) (R01HS018517). Prevention and Control of Seasonal Influenza with Vaccines: Recommendations of the Advisory Committee on Immunization Practices - United States, 2013–2014 2013 [01/06/2014]. Available from: http://www.cdc.gov/mmwr/preview/mmwrhtml/rr6207a1.htm. Rothholz MC. The role of community pharmacies/pharmacists in vaccine delivery in the United States. Available from: http://www.cdc.gov/vaccines/acip/meetings/downloads/slides-jun-2013/01-Pharmacies-Rothholz.pdf.